Linda Hogan (Chickasaw) Faculty at Indian Arts Institute, Former Writer in Residence for The Chickasaw Nation and Professor Emerita from University of Colorado is an internationally recognized public speaker and writer of poetry, fiction, and essays. In July, 2014, DARK. SWEET. New and Selected Poems will be out from Coffee House Press. Her two newest books are Indios (Wings Press, 2012, long poem, performance) Rounding the Human Corners (Coffee House Press, April 2008, Pulitzer nominee) and the well-regarded novel People of the Whale (Norton, August 2008). 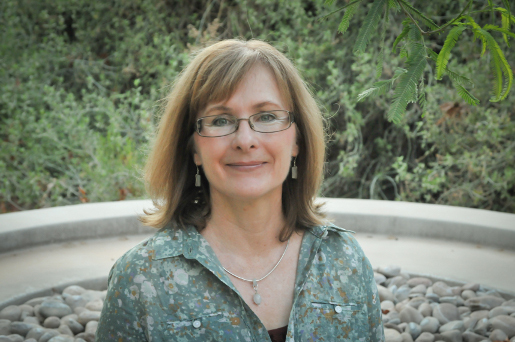 Her other books include novels Mean Spirit, a winner of the Oklahoma Book Award, the Mountains and Plains Book Award, and a finalist for the Pulitzer Prize; Solar Storms, a finalist for the International Impact Award, and Power, also a finalist for the International Impact Award in Ireland. WW Norton has published her fiction. In poetry, The Book of Medicines was a finalist for the National Book Critics Circle Award. Her other poetry has received the Colorado Book Award, Minnesota State Arts Board Grant, an American Book Award, and a prestigious Lannan Fellowship from the Lannan Foundation. In addition, she has received a National Endowment for the Arts Fellowship, a Guggenheim Fellowship and has received the Lifetime Achievement Award from the Native Writers Circle of the Americas, The Wordcraft Circle, and The Mountains and Plains Booksellers Association. Her most recent awards have been the 2016 Thoreau Prize from PEN, and the significant Native Arts and Culture Award. Hogan’s nonfiction includes a respected collection of essays on environment, Dwellings, A Spiritual History of the Land; and The Woman Who Watches Over the World: A Native Memoir. In addition, she has, with Brenda Peterson, written Sightings, The Mysterious Journey of the Gray Whale for National Geographic Books, and edited several anthologies on nature and spirituality. She has written the script, Everything Has a Spirit, a PBS documentary on American Indian Religious Freedom. Hogan was inducted into the Chickasaw Nation Hall of Fame in 2007 for her writing. She edited work from thirty years of Parabola essays for a book, The Inner Journey: Native Traditions, from Morning Light Press, recently published. This is a collection of essays on Native myth and tradition excerpted from Parabola Magazine. In addition, she has just had a short documentary PBS/American Experience posted for the REEL/NATIVE series, A Feel for the Land. Hogan was only the second minority woman at the University of Colorado to become a Full Professor. Her main interests as both writer and scholar are environmental issues, indigenous spiritual traditions and culture, and Southeastern tribal histories. She is currently on the Board of Advisors for Orion Magazine, an environmental journal. Hogan is currently working on a new novel as well as essays about Chickasaw history, mythology, and life ways, taking a critical look at past studies of the tribal histories: Rivers and Mounds of the Heart She also has a chapter on Traditional Indigenous Knowledge and animals in a new book on TEK coming out from Oxford University Press. She has been involved for eighteen years with the Native Science Dialogues and the new Native American Academy and for many years with the SEED Graduate Institute in Albuquerque. She was one of two invited writer-speakers at the United Nations Forum in 2008. Linda Hogan has work translated in all major languages by the U.S. Information Office, and speaks and reads her work both nationally and internationally, most recently in Spain as keynote speaker at the Eco-criticism gathering in Alcala’ and at major universities in Taiwan, at the International Studies on Religion, Culture, and Nature in Amsterdam, EASLE (Literature and Environment) in Turkey, and was a plenary speaker at a 2013 conference in Taiwan on Migrants and Memory. More recently she gave the keynote at the 2015 ASLE conference in Moscow, Idaho, and was a reader and speaker in Podgorica, Montenegro at an International Writers Conference sponsored by the US embassy and Karver Bookstore. She was a Plenary Speaker at the Environmental Literature Conference in Turkey in November 2009, and presented a 90 minute program at the International Congress of the Parliament of World Religions in Melbourne, as well as moderating and speaking on a panel on Tribal Sovereignty at the same Congress in December 2009. She has also worked with Native youth in horse programs and has worked with “at-risk” Native teens. She continues to teach Creative Writing workshops. She now lives and works in the Colorado mountains. 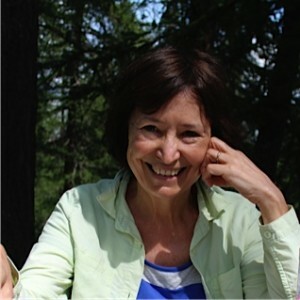 Linda Hogan travels frequently to give readings and workshops, and also takes private clients who need assistance to write, edit, or complete their own books. Poète, romancier, et nouvelliste des Etats Unis. 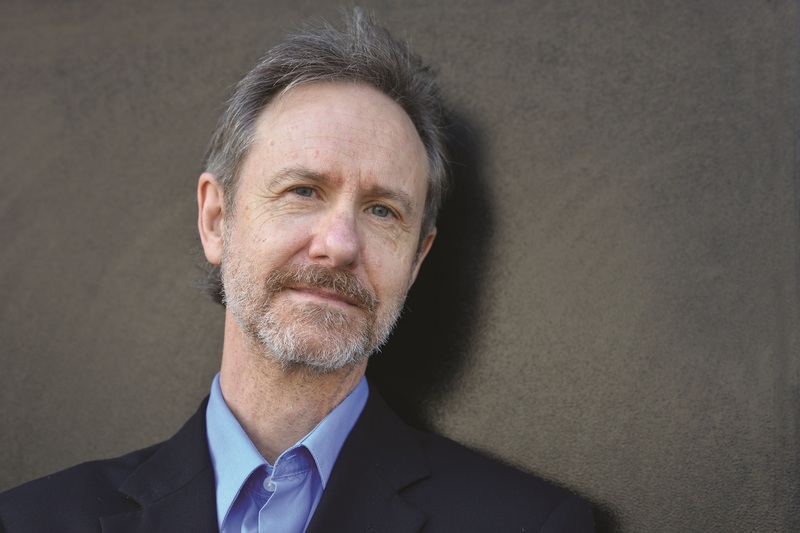 Ron Rash, Photo by Ulf Andersen in 2014. Ron Rash is the author of the 2009 PEN/Faulkner Finalist and New York Times bestselling novel Serena, in addition to five other novels, including One Foot in Eden, Saints at the River, The World Made Straight, and Above the Waterfall; five collections of poems; and six collections of stories, among them Burning Bright, which won the 2010 Frank O’Connor International Short Story Award, Chemistry and Other Stories, which was a finalist for the 2007 PEN/Faulkner Award, and most recently, Something Rich and Strange. Twice the recipient of the O. Henry Prize, he teaches at Western Carolina University. Pierre-Yves Touzot est un réalisateur français d’origine canadienne né le 15 novembre 1967 à Sherbrooke. Après des études de commerce, il travaille quelques années dans la production et la distribution avant de passer à la réalisation, puis plus récemment à l’écriture de romans. Son écriture contribue à une reflexion écocritique avec Terre Lointaine, fable écologique sur le mode des écofictions dystopique et Comme un albatros, récit de voyage fictif révélant la profondeur du désastre écologique dans les océans. Son premier long métrage sortira au cinéma en 2016, ainsi que son troisième roman. In this lecture, I will engage in a form of writing and thinking that has been creatively forged in the ecocritical world, called “narrative scholarship.” I will circle back to my early intellectual training, which focused on the work of Franz Boas, Claude Lévi-Strauss, Gregory Bateson, Ruth Benedict, Victor Turner, Mary Douglas and Barbara Babcock and then move forward to a focus on Edward Vivieros de Castro, Donna Haraway, Anna Tsing and Deborah Bird Rose, as I review how these scholars reveal the significance of the trickster figure (that creator-destroyer deployed in many cultures to convey complex understandings of an animate world). I will explore how, today, these great intellects (and the ideas they articulate) are becoming even more important as the sciences come together with the humanities to explain why complex cultural and ecological systems cannot be separated into neat binaries that assign humans to a thinking world, and all other beings to a non-conscious, non-semiotic, non-agential, non-animate world. I will discuss emerging understandings of the universe as a multinatural (not universal) cosmos of relations that is being illuminated by a return to, and new appreciation of, Alexander von Humboldt’s work on ‘cosmos.’ Humbolt’s “students, including Charles Darwin, Boas, and Lévi-Strauss, picked up on his ideas, and today, the rhizomatic convergences of this important work, entangled as it is with indigenous oral traditions (and only now catching up to the complexity of indigenous scientific literacies), is leading to a new mode of research, called multispecies ethnography. I will explain how this new approach, which has been the focus of my recent work, is enriching understandings of ecopoetics, the central topic of this conference, as it charts, gathers up, and re-writes the stories of relations among a host of organisms that are not just “good to think” (Lévi-Strauss’ formulation) but “good to live with” (Haraway’s formulation). I will end with some thoughts about why indigenous ‘earth beings,’ whether roaming ancient oral traditions or peopling contemporary literature and film, or existentially present in a forest (Sachamama), a river (Yakumama), an environmental protest, or, even an urban community, are revealing the reasons that transformational beings are (still) “good to think” as they are increasingly invited into the political process at the highest international levels of negotiation. The main question I will explore is how these beings—and how we (in our quotidian lives)—give presence to an entangled myriad of temporalities and spatialities, that Donna Haraway has termed “entitites-in-assemblages—including more-than-human, other-than-human, inhuman.” A secondary, but equally important question, will be, how giving presence to transformational beings can advance a politics of cosmos that might call attention to the speed at which humans must respond to growing evidence of a “great acceleration” of environmental change that is endangering all life on the planet. 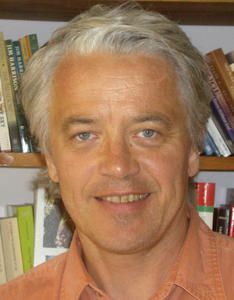 Yves-Charles Grandjeat is a Professor of American Literature at the Bordeaux Montaigne university where he has directed a number of research programs, and served as served as head of the American studies, then Angolophone Literatures and Cultures research center. He has published on Latino cultures and literatures in the U.S., then on Afro American literature, including a book on John Edgar Wideman. 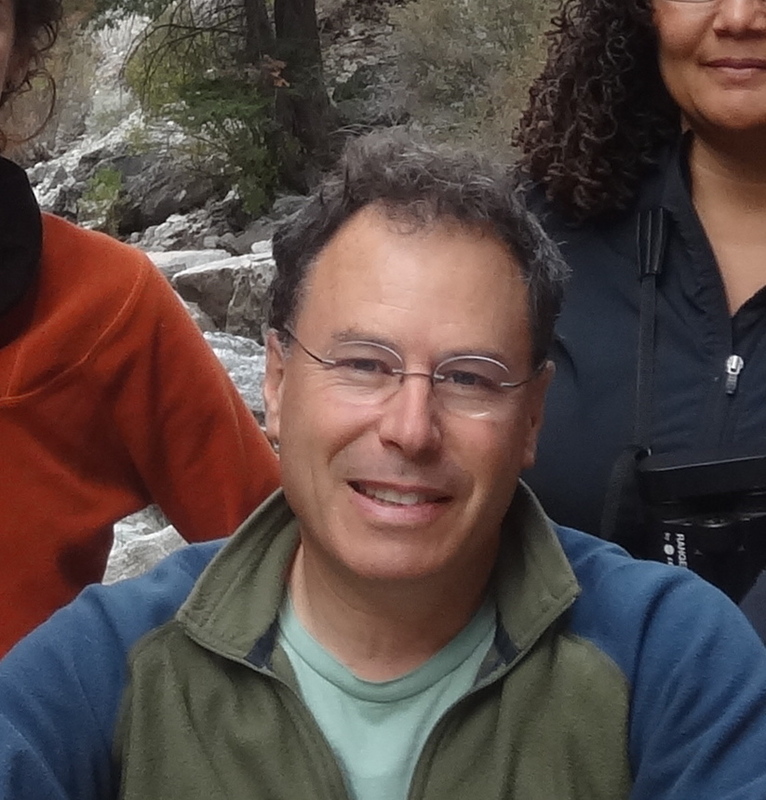 Lately, he has turned his interest to American nature writers—Rick Bass, Wendell Berry, Annie Dillard, Aldo Leopold, Barry Lopez, Peter Matthiessen, Doug Peacock, Gary Snyder, Terry Tempest Williams—and more generally, environmental writing and ecology, and ecocriticism. -« Coming Down the Mountain : Text and Counter-Text in Rick Bass’s Caribou Rising”, in Mountains Figured and Disfigured in the English-Speaking World, Ed Françoise Besson, Newcastle, Cambridge Scholars Publishing, 2010, 224-234. -“La place de l’animal dans la littérature d’environnement américaine”, in La Question Animale, dir JP Engelibert, L Campos, C Coquio & G Chapouthier, Rennes, Presses Universitaires de Rennes, 2011, pp107-119. -« Repairing the link between Man and Nature : Birds as mediators in TT Williams’ Refuge”, in La figure du passeur: transmission et mobilités culturelles dans les mondes anglophones, dir P.Antolin, A Schmitt & al, Pessac, Maison des Sciences de l’Homme d’Aquitaine, 2014, pp65-81. – « Poetic Co-operation in the Works of “Nature Writers of Our Own Time” », Miranda [Online], 11 | 2015, Online since 10 July 2015, connection on 12 November 2015. URL : http://miranda.revues.org/7024. -« We Were Rich from the Water » : a CSKT Montana Update on the ‘Ecological Indian’», in Elohi. Ressources du vivant. N°5-6 (Janvier-décembre 2014): 231-251. “I turn homeward, wondering” is the final sentence of “Winter”, the opening vignette of Aldo Leopold’s Sand County Almanach. This paper will take its cue from Leopold’s invitation to gaze at the world in wonder so as to make this world a home, from an environmental perspective. Wonder, in this case, does not (mainly) mean astonishment and frustration (in the face of continued destruction by humans of their environment) but, rather, marveling at the extent to which the beauty and complexity of the workings of nature inevitably exceed what any human discourse about them might convey, whether scientific or lyrical. “Wondering” marks a spell of epistemological wavering and cognitive opening, including, for Leopold, to countless non-human perspectives and languages so as to make space for them. “Wondering” registers a (discursive) lack, a (phenomenological) excess and an ethical decentering which yield a generous crop of allusive textual figures, even for a writer who starts out from solid scientific ground. This paper will first track how this capacity for wonder illuminates the text, then examine how such figures of wonder tie up with the activist’s concern –as Leopold tries out subtle, crafty ways of turning this capacity for wonder into an environmental force. The path followed by Leopold might thus lead us to the debate implicitly raised by this conference, on the role of imagination and spirituality in the environmental struggle. In so doing, we will tread on treacherous grounds, as the “spiritual” remains largely off limits in academia, particularly in Descartes’ country, except when dealing with non-European cultures. Treading cautiously, we will watch “rational” nature writers negotiate a camouflage space for an enchanted gaze, even when choosing matter-of-fact advocacy over dream-eyed lyricism –with the work of Rick Bass as a case in point: “It’s magic. There’s no other word for it –no way known to explain it.” (The Book of Yaak, xiii) One more step, though, will invite us to look at such magic spells as related to what these texts leave out yet remain haunted by: the native people and their cultures, in which what may pass as environmental magic from a Eurocentered perspective is simply a vital part of reality. From this perspective, re-enchanting the world, notably the world of nature, may thus involve not just a cognitive but also a larger cultural and political turn homeward which we are unlikely to achieve, but can keep dreaming about. Wendy Harding obtained her PhD from the University of Connecticut in 1985 and her H.D.R. from the University of Paris-Sorbonne in 1999. She is currently Professor of English at the University of Toulouse, France. She has co-authored two books on American literature with Jacky Martin, A World of Difference: An Inter-Cultural Study of Toni Morrison’s Novels (1994) and Beyond Words: The Othering Excursion in Contemporary American Literature (2007). She has written many articles on American studies, focusing in particular on questions relating to gender, race, or place, and she has edited a number of essay collections and journal issues. Her latest book is The Myth of Emptiness and the New American Literature of Place (2014). Recent speculation on our own (Euro-American) mentalities, for example, Bruno Latour’s “anthropology of the moderns,” demonstrates how our scientific and technological advances are gained by postulating our separation from everything that surrounds and sustains us. Humans exist in culture, while all other living things constitute nature. Nature writing emerges as an effect of this split. It promises to connect us with all the things we have lost contact with, even as it endorses our disconnection from them. Nature writing fosters nostalgia for a green world free of human presence. It commands respect or even quasi-religious awe for the wild and the pristine, but does it foster the kind of responsibility that is necessary in the Anthropocene era? For the world is not split into zones of civilization and wilderness; the world is hybrid, constituted by the interactions of its myriad human and non-human components. I propose to look at the way writers explore the hybrid places where we interact, sometimes in destructive ways, with other life forms. Writers like Charles Bowden, Ellen Meloy, Rebecca Solnit and Robert Sullivan develop new aesthetic strategies that work toward creating new mental frames within which we can rethink our emplacement in the land. Scott Slovic is Professor of Literature and Environment and Chair of the English Department at the University of Idaho. The editor of ISLE: Interdisciplinary Studies in Literature and Environment, he served in the mid-1990s as the founding president of The Association for the Study of Literature and Environment (ASLE). 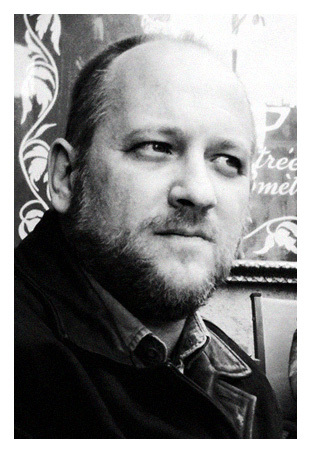 His twenty-three books include, most recently, Numbers and Nerves: Information, Emotion, and Meaning in a World of Data (2015), Currents of the Universal Being: Explorations in the Literature of Energy (2015), and Ecocriticism of the Global South (2015). At a time of unprecedented access to information, we find that our society is frequently stymied in its efforts to react to the world’s massive challenges, from climate change to genocide, from mass extinction to pervasive poverty. Many of these problems are systemic, deeply rooted in seemingly intransigent cultural patterns and lifestyles. But in order to sense the meaning, the significance, of these issues and begin to confront them, it is important to understand the psychological tendencies that enable and restrict our processing of information. Beyond understanding how audiences react or fail to react to information—as a result of such psychological phenomena as fast and slow thinking, psychic numbing, pseudoinefficacy, and the asymmetry of trust—this paper will explore specific strategies used by artists and writers to imbue their messages with salience. I think of this as a study of how data takes on meaning—in other words, how bland, numbing reports and exhortations become enchanted and enchanting, grasping audiences’ attention and triggering active responses. In particular, I will focus on narratives of singularity, which compress vast social phenomena into individual “case studies,” highlighting the use of emotional vacuums, stories of vulnerability, conversion narratives, and strategic nostalgia as keys to poignancy, which is the aesthetic equivalent of enchantment. I will also talk about the importance “brain training” through literature, the arts, and perhaps game technologies as ways of supporting “conscious evolution” so that twenty-first-century citizens can cognitively process the important information we receive about the large-scale challenges we face. My chief examples in this paper will be the writings of Aldo Leopold, Terry Tempest Williams, Barry Lopez, J.M.G. Le Clézio, and Homero Aridjis, and the digital compositions of Chris Jordan.